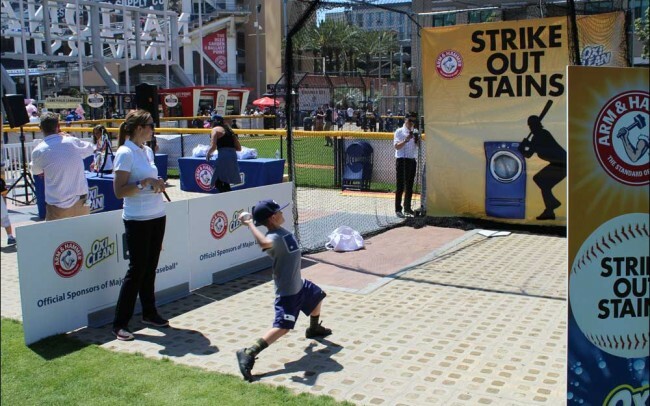 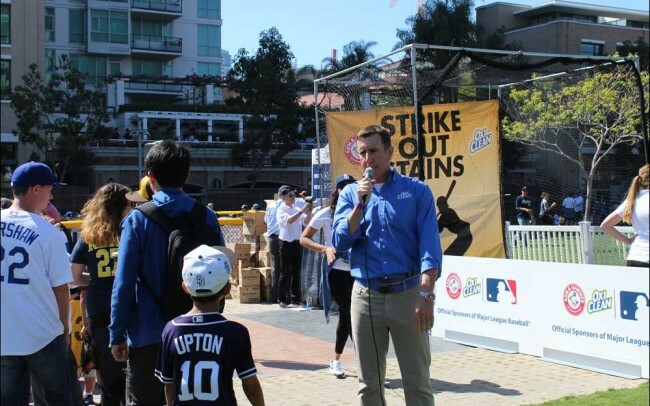 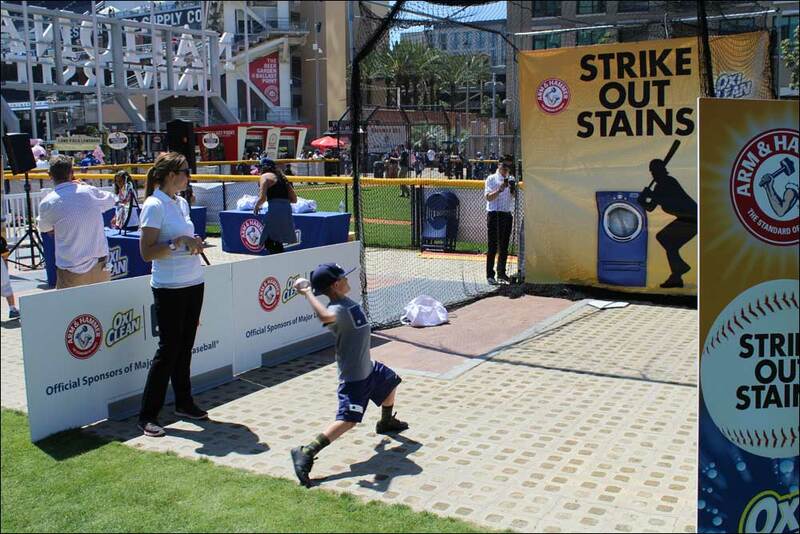 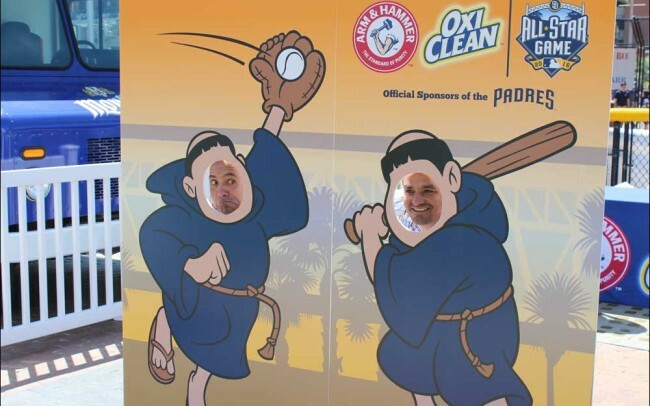 As part of Church & Dwight’s continued sponsorship with MLB as “The Official Laundry Detergent and Stain Fighter of MLB,” and as Proud Sponsors of the San Diego Padres, Church & Dwight kicked off their 3rd Opening Day partnership activation at Opening Day at Petco Park in San Diego, California on April 4, 2016. 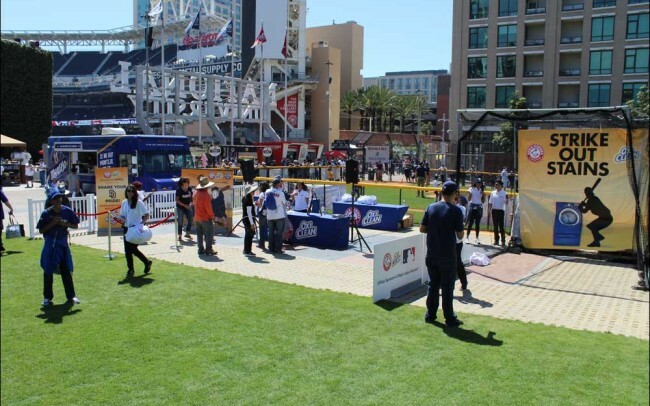 DDK Productions managed the on-site activation which was held inside of Petco Park at their “Park at the Park” footprint. 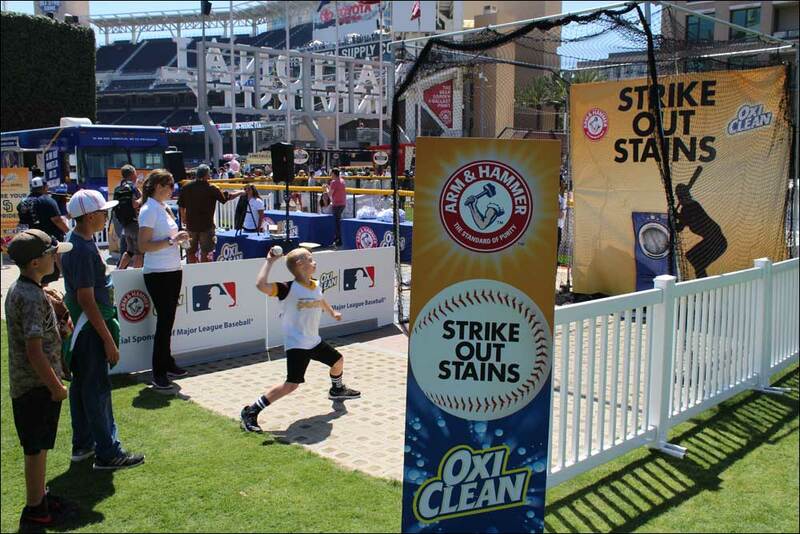 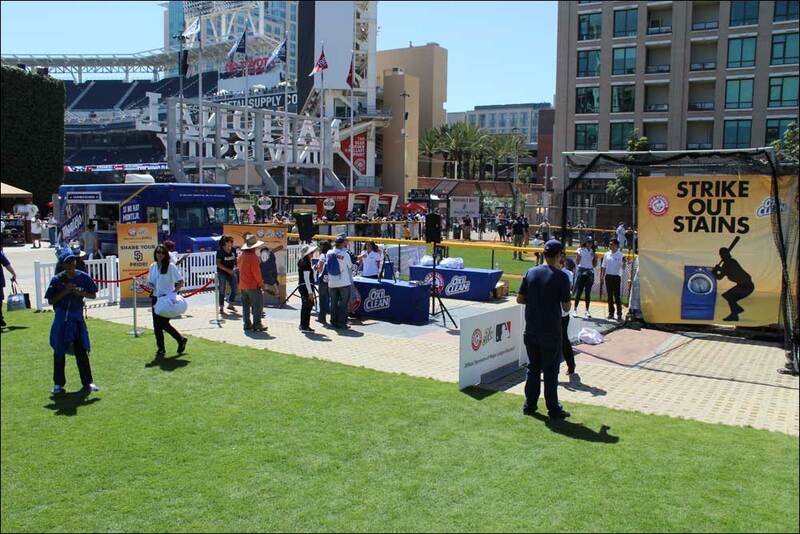 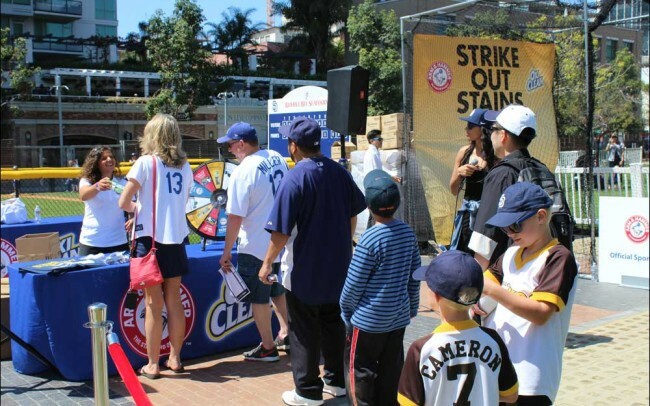 The activation brought to life several different ways for baseball fans to interact with the Arm & Hammer and OxiClean brands including interactive games, free product giveaways, photo opportunities and chances for fans to win tickets to future Padres games & the 2016 MLB All-Star Game in San Diego. 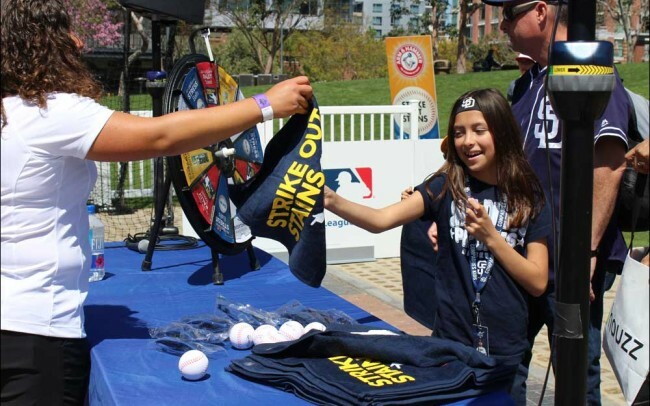 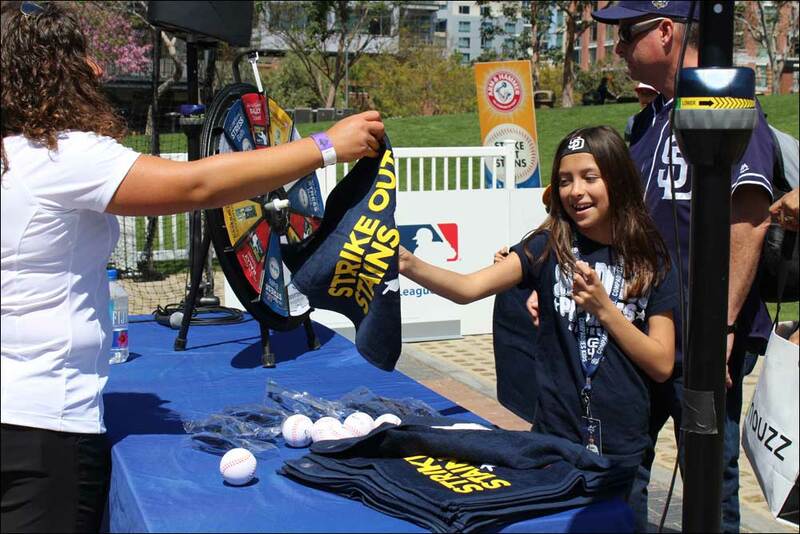 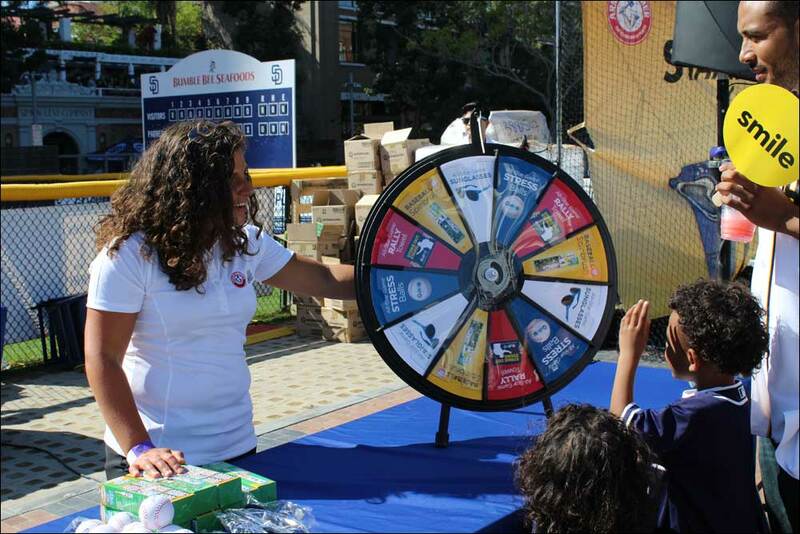 Fans took a spin at the Clean Up & Win spin wheel, with a chance to win an Arm & Hammer Baseball Spinbrush, Arm & Hammer and OxiClean and All-Star branded rally towels, sunglasses and stress balls. 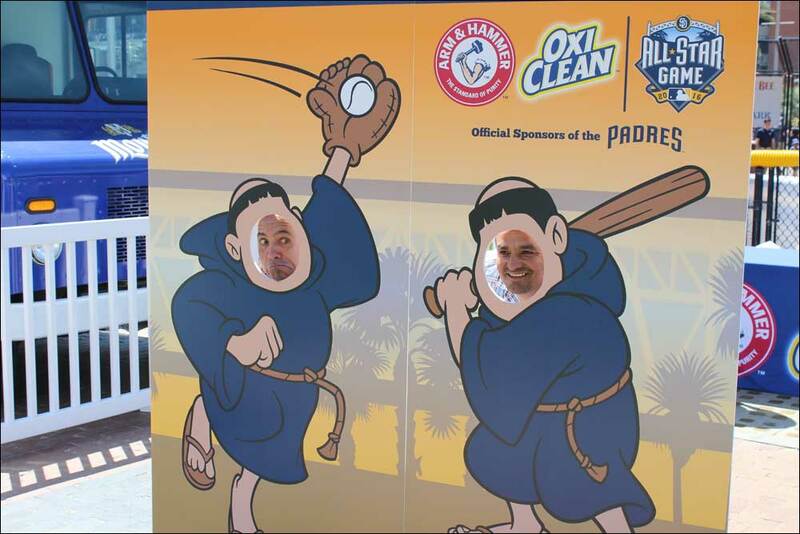 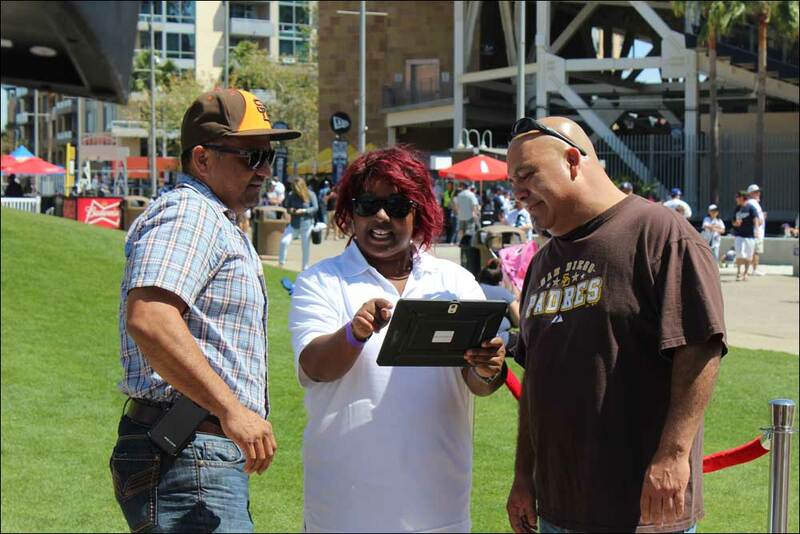 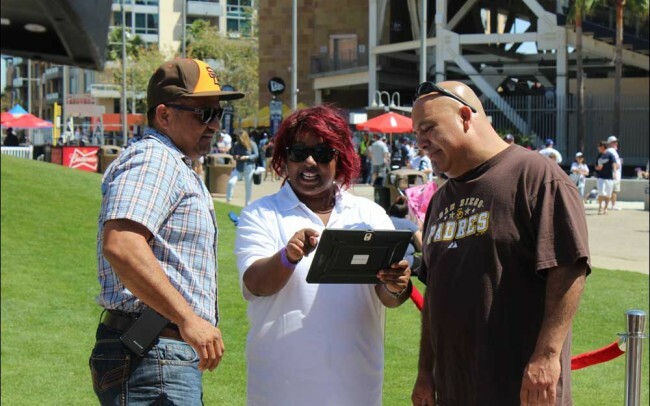 Fans were asked to "show & share" their Padres pride with a photo at the Friar Photo Op that was uploaded to their Facebook and/or Twitter account via Tagkast. 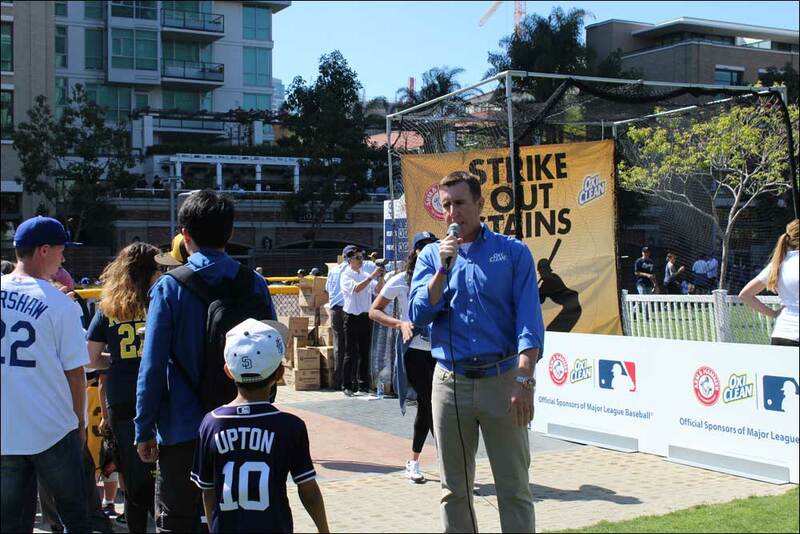 OxiClean’s very own pitchman, Anthony Sullivan, interacted with the crowds and took photos with his adoring young fans. Arm & Hammer Spinbrush and Truly Radiant Toothpaste were given to all participants throughout the park grounds.